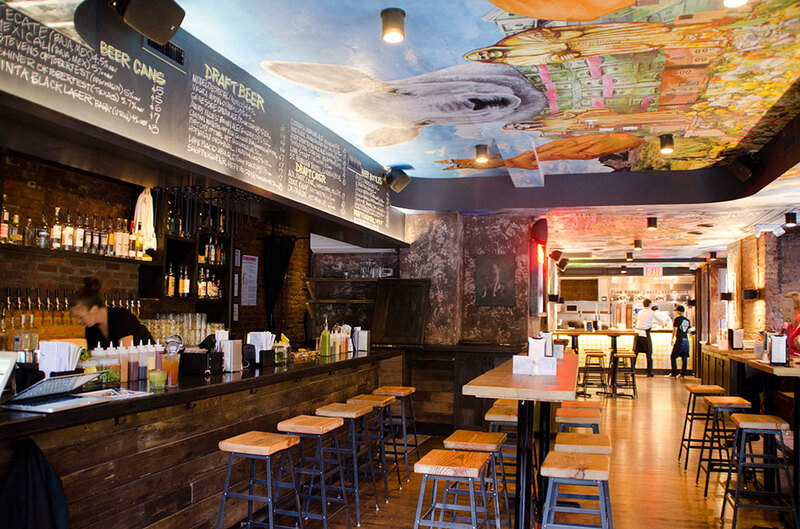 Alex Stupak brings beer, tacos and tequila to the East Village. After months of anticipation, Alex Stupak finally opened the doors to Empellón al Pastor this past weekend. Joining the chef’s nearby Empellón Cocina and West Village taqueria, this new venture focuses on the eponymous al pastor taco as well as a loaded roster of beer and tequila-based cocktails. Luckily for college students and budget-minded East Village residents, the casual vibe and decor are matched with a straightforward menu and very reasonable prices. 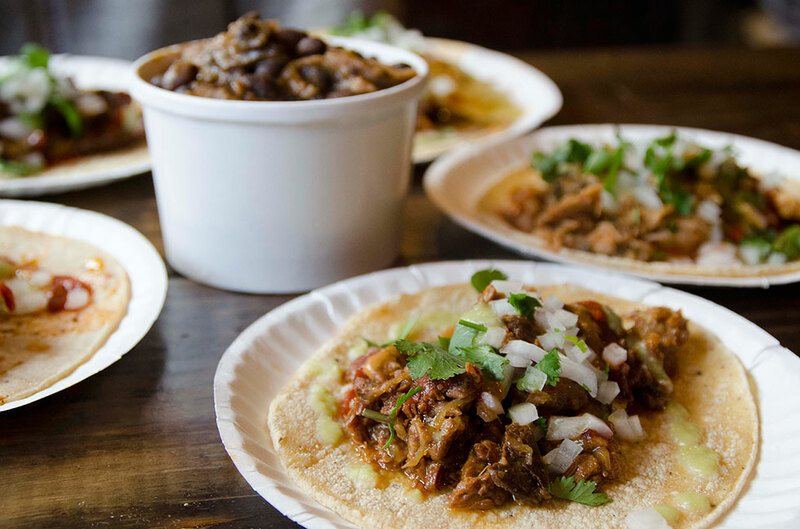 Designed to look like a dive bar that serves tacos, Empellón al Pastor pays homage to the grittiness of old-school East Village hangouts. Unlike those spots, though, the food and drinks here are both top notch. Tacos are made with fresh, homemade tortillas and, at least for now, Stupak is at the end of the line expediting orders while guests patiently wait or make their way to tables in the back. While the al pastor ($4) is the main attraction, with Stupak’s research trips to Mexico City evident in the already flawless execution, don’t sleep on the tacos de guisados ($4). Pulled chicken and steak tacos are as delicious as ever, while the flavorful mushroom taco with pasilla chile will appeal to vegans and carnivores alike. Though it is possible to make a meal of the tacos alone, Stupak’s side dishes should not be missed. As always, chips and guacamole ($4) are a solid choice, while the pork-infused “drunken black beans” ($4) are rich and hearty enough to eat as a main course. Pair any of these with a michelada ($9), mezcal and tonic ($10) or one of five margaritas ($12 to $14). 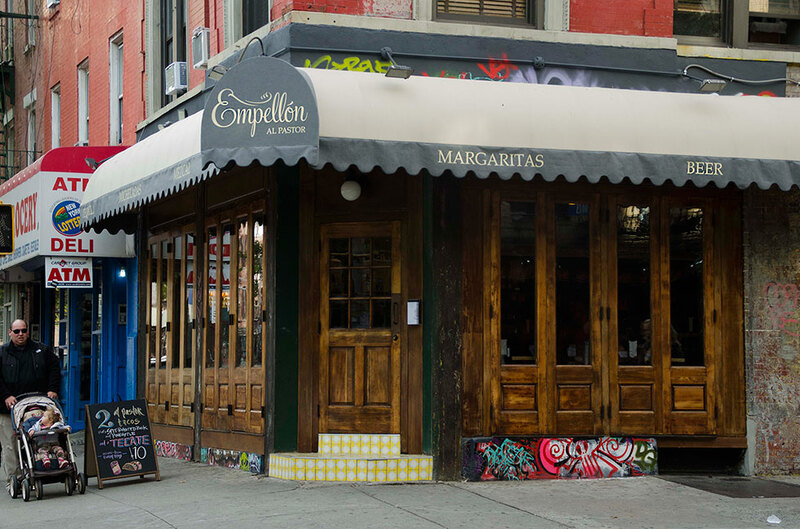 Still in its first days of operation, the new Empellón outpost impresses with food and service that puts fancier and more established restaurants to shame. Our advice? Get there now, before the inevitable crowds arrive for a taste of the best new tacos in New York.